Under the Drugs Payment Scheme, an individual or family in Ireland should not pay more than €144 each month for approved prescribed drugs for use by that person or his or her family in that month. You must be ordinarily resident in Ireland and hold a PPSN. There is no means test for the Drugs Payment Scheme. Medical Cards allow people to access Family Doctor or GP services, community health services, dental services, prescription medicine, hospital care and a range of other benefits free of charge or at a lower cost than normal. Most people who get a Medical Card do so because their income is below a certain level. From December 1st 2013, prescription charges for Medical Card holders are now €2.50 per item – capped at a maximum of €25.00 per month per family. Download Medical Card application form. GP Visit Cards can allow individuals and families in Ireland to visit their family doctor for free. Only the cost of visits to your family doctor is free; you must pay for prescribed drugs, medicines and other health services similar to others who don’t have a Medical Card. If you are granted a GP Visit Card you should also apply for a Drugs Payment Scheme Card if you don’t already have one. Download GP Visit Card application form. If you have certain long-term illnesses or disabilities, you may apply to join the Long Term Illness Scheme and you will be supplied with a Long Term Illness book. This book allows you to get drugs, medicines, and medical and surgical appliances directly related to the treatment of your illness, free of charge. It does not depend on your income or other circumstances and is separate from the Medical Card Scheme and the GP Visit Card Scheme. More information on the LTI Scheme here. The European Health Insurance Card or EHIC allows the holder to access health care services when travelling to other EU or EEA countries. Anyone who is living in Ireland or intends to live here for a year can apply for an EHIC. 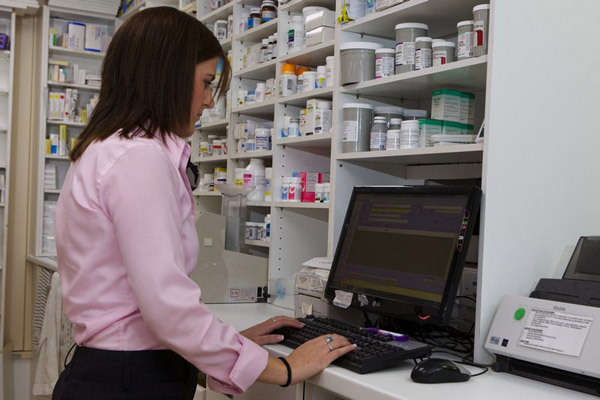 From 1st December 2013, Pharmacists are obliged, by law, to collect a €2.50 levy on every item dispensed on medical card prescriptions. If you or your family spend more than €25 per month on the levy, the amount exceeding €25 can be claimed back from the HSE. If you require further advice, please ask our Pharmacist. Further information for all of these entitlements is available on the HSE website.